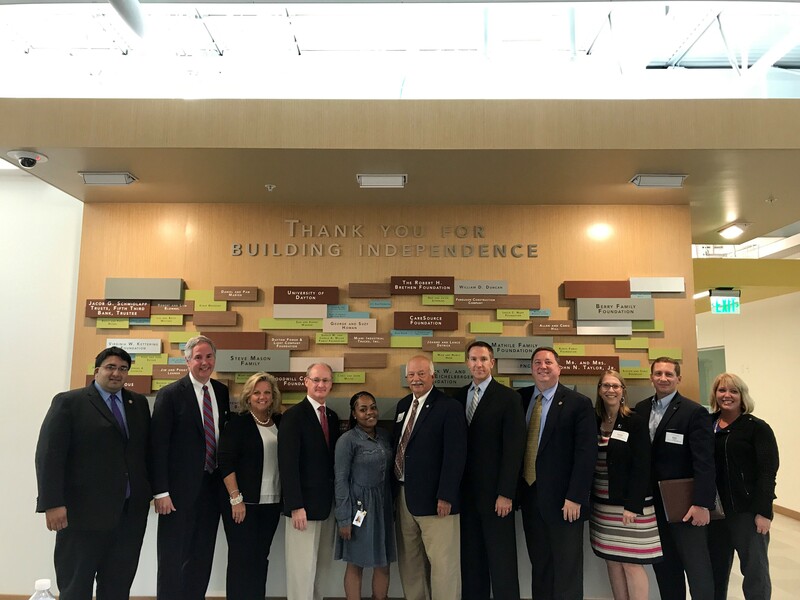 On Monday, August 28, Goodwill Easter Seals Miami Valley hosted the Ohio Chamber along with Sen. Bill Beagle, Sen. Bob Hackett, Rep. Niraj Antani, Rep. Jim Butler and Rep. Jeff Rezabek on the third stop of our 2017 All For Ohio Tour. Goodwill combined with the mission-focused Easter Seals organization in 1999 to create an even more impactful facility now known as Goodwill Easter Seals Miami Valley (GESMV) located in Dayton, Ohio. The mission of GESMV is to empower people with disabilities and other disadvantages to achieve independence and improve their quality of life. Last year alone they served 20,560 people in 23 counties, made possible by a team of 1,300 employees and nearly 1,000 volunteers. 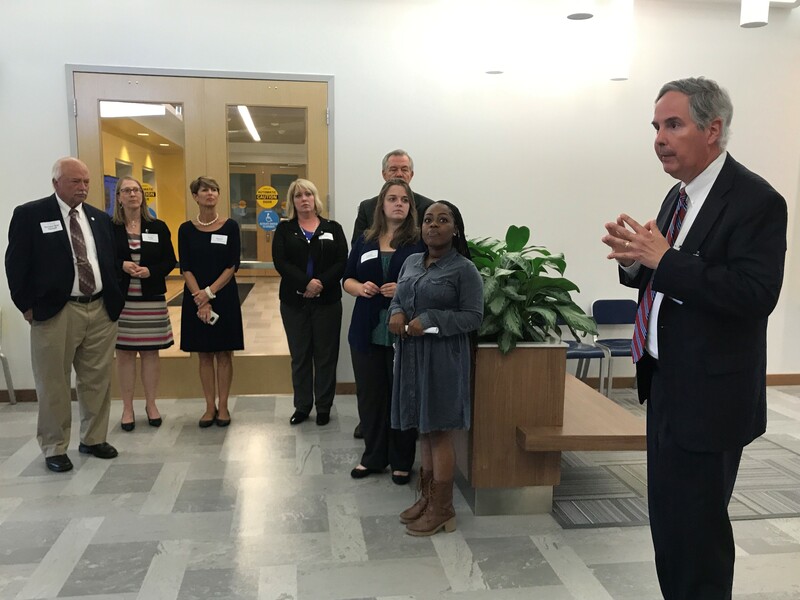 Goodwill Easter Seals Miami Valley CEO & President Lance W. Detrick led the fa cility tour to kick off the visit, taking us through the numerous spaces where they can focus on specific services for their participants. An important stop was a visit with the Senior Community Employment Job Club. 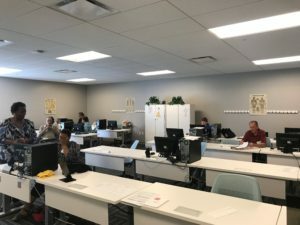 This gave the visiting Ohio Legislators an opportunity to speak with and listen to the goals of actual participants of the program. Following the tour was a roundtable discussion held between Goodwill staff from around the state, Ohio Chamber staff, and Ohio Legislators. Stemming from the Ohio Chamber of Commerce Research Foundations’ quarterly business survey results, Emily Turner, Executive Director of the Ohio Association of Goodwill Industries, started off the policy discussion with the concern of there not being enough workers with the qualified soft skills to obtain and retain jobs. With job training and placement being a crucial part of what GESMV helps their participants with, workforce development is a key policy issue to help the success of their organization as well as Ohio’s business climate as a whole. The roundtable discussion proved successful with constructive input from all different perspectives. The conversation included talk of the benefits cliff, the need to instill soft skills in the workforce, the needs and potential of GESMV programs as well as the needs and expectations of employers. Among the successes in Ohio’s workforce development there is still room for continued growth and improvement. 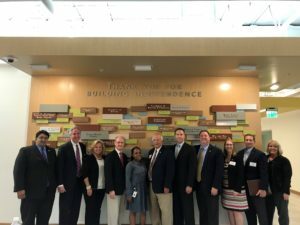 Through these All For Ohio Tour visits, business leaders are given the chance to discuss these important policy issues with the state policymakers directly and have their voice heard. 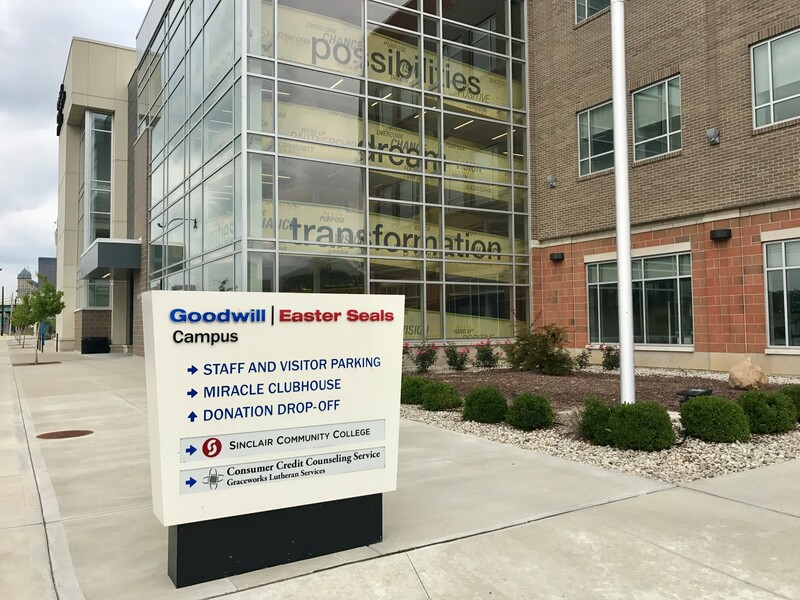 For more information on Goodwill Easter Seals Miami Valley and the programs they offer, please visit their website.